The 34-year-old was substituted midway through the first half of Monday's Euro 2020 qualifying match against Serbia, which ended in a 1-1 draw. Ronaldo insisted he was not too concerned in his post-match comments, and Juventus have confirmed the forward has suffered only a 'minor' injury. 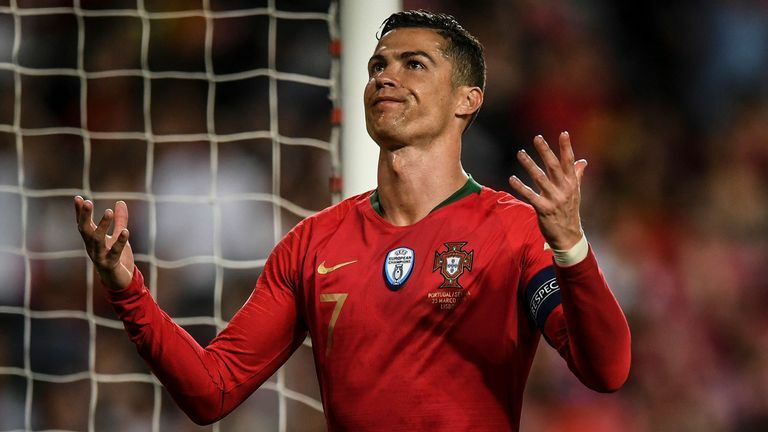 A statement released by the Italian club on Tuesday read: "Cristiano Ronaldo underwent tests in Portugal that revealed a minor injury to his right thigh flexors. Juventus face Empoli in Serie A on Saturday, with games against Cagliari and AC Milan taking place in early April. The Bianconeri then face Ajax in the first leg of their Champions League quarter-final in Amsterdam on April 10.